Enter now the Butterball Giveaway, in it, you get the chance to Win a 6qt Instant Pot. 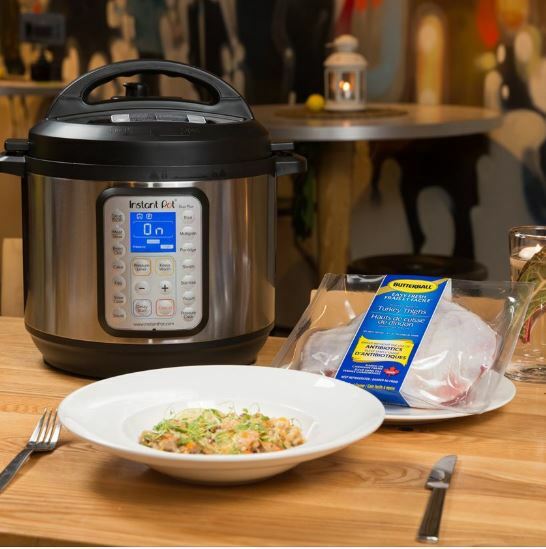 To enter you have to visit the official Butterball Canada Facebook page and follow it, then look for the post promoting this contest (click here to go directly), like it and use the comments section to write your answer to the following question “What turkey recipe would you most like to make in an instant pot?”. Entries to this contest close on Sunday April 14, 2019 at 11:59 pm EST. Winner will be selected at random from all valid entries. The winner will get a 6q Instant Pot. The Butterball Giveaway begins on April 8, 2019 and ends on April 14, 2019. Winner will be contacted by direct message on Facebook.